Are you planning a trip to the Pacific Northwest/Seattle this year? Do you live here and need a day trip idea? 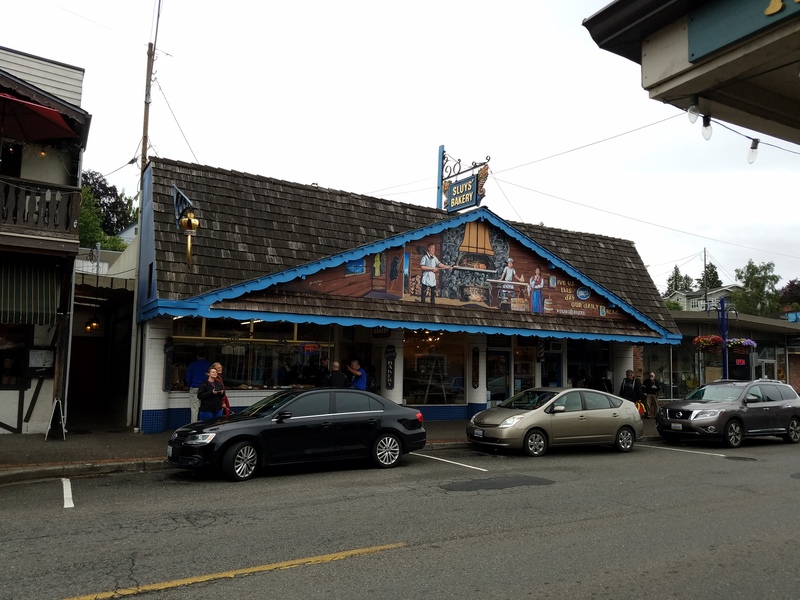 Come visit a little town they call “Little Norway” – Poulsbo, WA! The town has been on my must see list for a few years now and we finally ventured over there. It was about an hour drive from Tacoma and I’ve passed the exit on the highway many times but haven’t actually seen the town. We were immediately in love! It was better than we imagined even with cold/wet weather – luckily we had sweaters in the car. Read below to make the most of your trip whither it’s a day trip or vacation, I’ve got you covered! And be sure to check out a few of our photos from the day, just be aware they are cell phone shots! We got to Poulsbo by car and is was very easy, with no traffic it took us only 50 minutes from Tacoma. The best part I feel is right at the heart of the town and marina/beach is a large free parking lot, on a busy day we had no problem finding a space. Washington State Ferry Riders have the option to drive on or walk on. The Washington State Ferry Service offers the flexibility of 4 routes making it easy to travel by ferry allowing you to relax and take in the sites. Poulsbo Marina has 130 guest slips – so there’s always room for you. 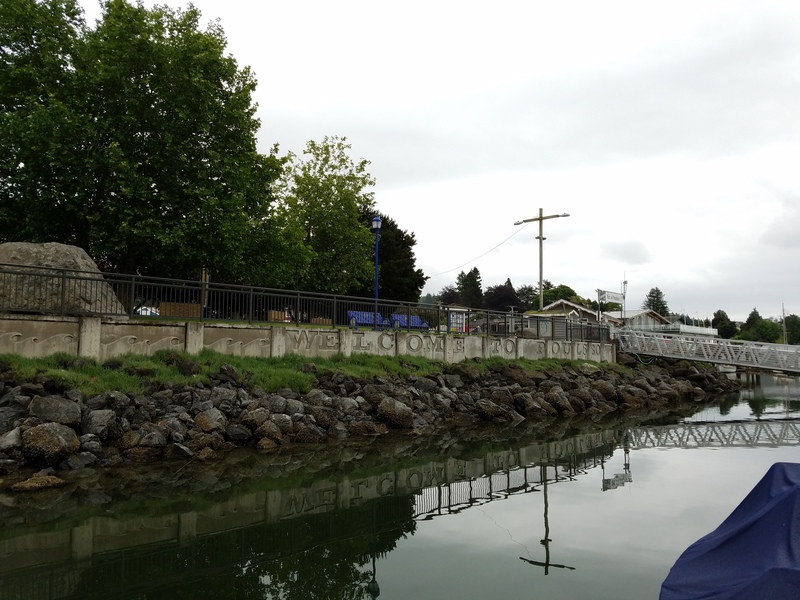 The marina offers a wide range of facilities including permanent and transient moorage, bathhouse, laundry room, and marine fuel. We didn’t actually have the opportunity to stay in Poulsbo this time, but I’m planning something. It is such a cute town and even though we live fairly close I would love a weekend getaway. 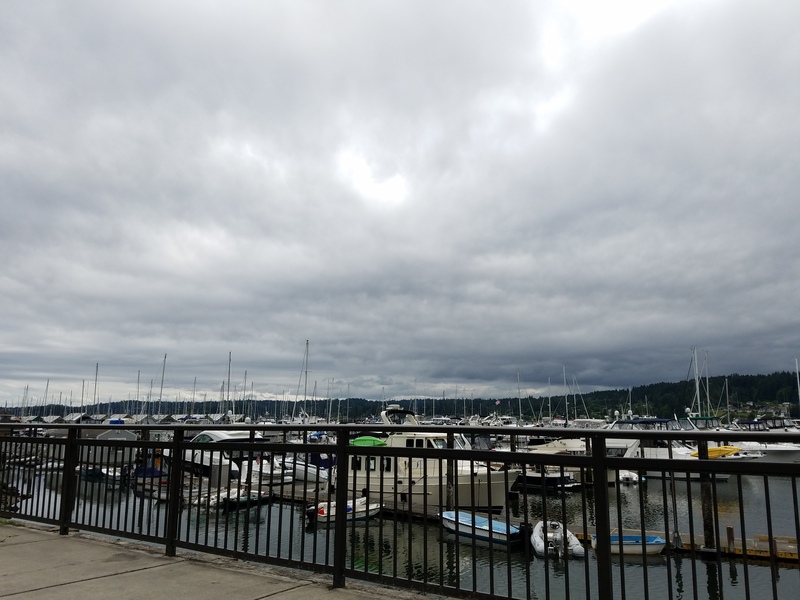 There are more lodging options in Poulsbo other than then the ones I have posted, but since my blog focuses on family-friendly I will list the most family-friendly looking places. You can always check out vrbo.com and airbnb.com too. Red Lions Guesthouse Inn & Suites pricing around $150, family-friendly inn including pets, continental breakfast, wifi, convenient location and more. Poulsbo Inn & Suites price around $100, family-friendly inn, convenient location, pool, continental breakfast, free wifi and more. There are a lot of options where to eat in Poulsbo, from German to Mexican, something for all taste buds. 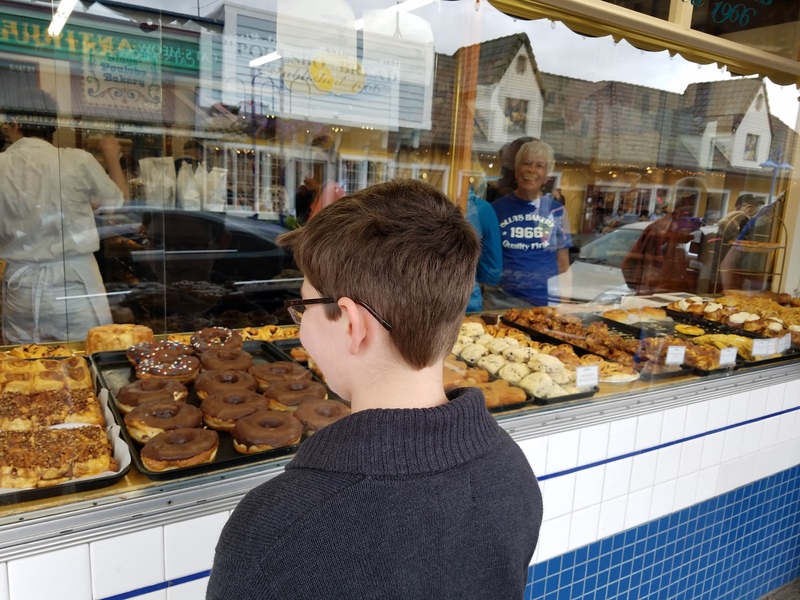 Sluy’s Bakery – start your day off by taking a trip into Sluy’s Bakery, yummy donuts, get a loaf of their famous Poulsbo bread, but my absolute favorite were the butterflake rolls, my mouth is still drooling!! They were so nice and friendly, an older gentleman whom I believe he said he and his wife founded the place were passing out free samples of full size cupcakes. 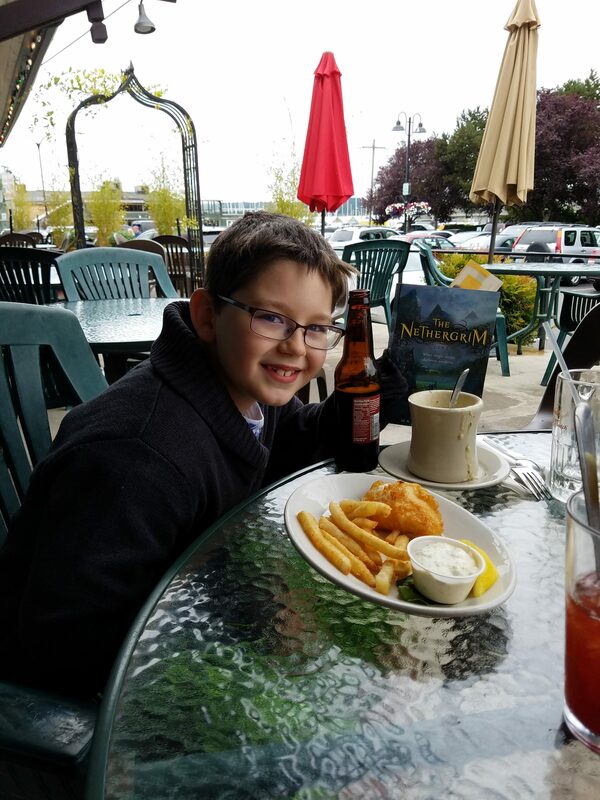 JJ’s Fish House – we were craving seafood so decided to eat here and we weren’t disappointed. It was very good and I found the prices to be reasonable. 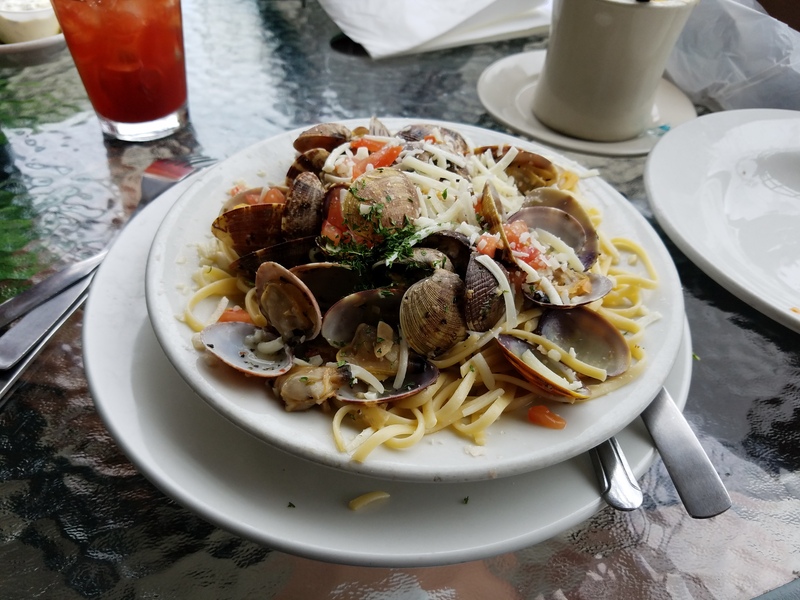 We had fish & chips – which were very good, clam pasta – was good but didn’t have much flavor, but they definitely didn’t skimp on the clams, our favorite was the clam chowder it was amazing and next time will be ordering a bigger helping. I was pleasantly surprised my raspberry sweet tea was sweetened by real raspberries!! The only thing we didn’t particularly like, during a busy day inside the restaurant is very loud, thankfully we were able to sit outside otherwise we would of went somewhere else. Casa Luna – Mexican food in a Norwegian inspired town? why not!! 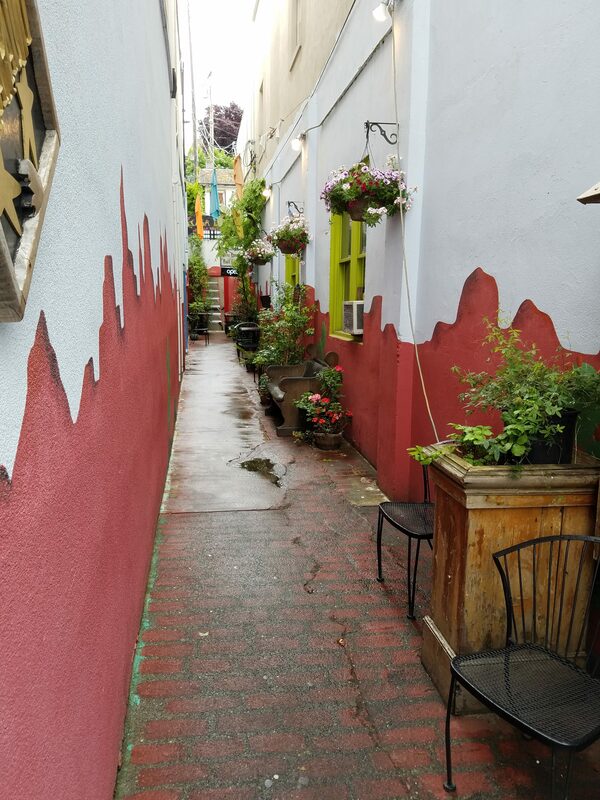 Take a stroll down there extremely cute walkway to tasty food. MORA for some delicous ice cream! Tizley’s Europub can’t go to Poulsbo without eating some European dishes!! 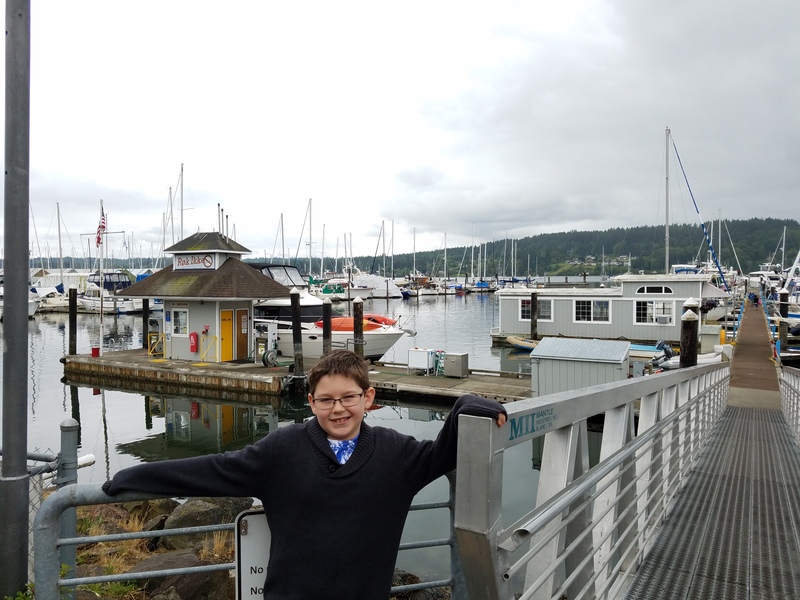 There is a lot to do in Poulsbo, family-friendly things and adults only, things for everyone! 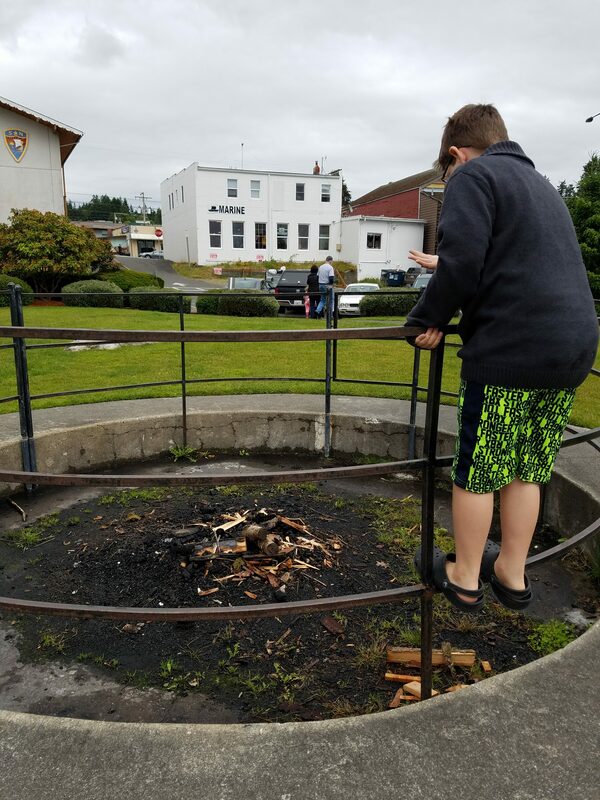 The best part Poulsbo offers lots of free things to do or reasonably priced fun! Afternoon of fun for FREE! Well, almost free just the cost of getting to Poulsbo. But you could seriously pack food and head to this cute little town. Parking is free, walk the boardwalk, walk around the marina, walk around the town, no playground at the small park but it did have stuff the kids could climb all over. Take a stroll in town and stop into Liberty Bay Books, browse and buy if you wish, I did find they had reasonable prices. 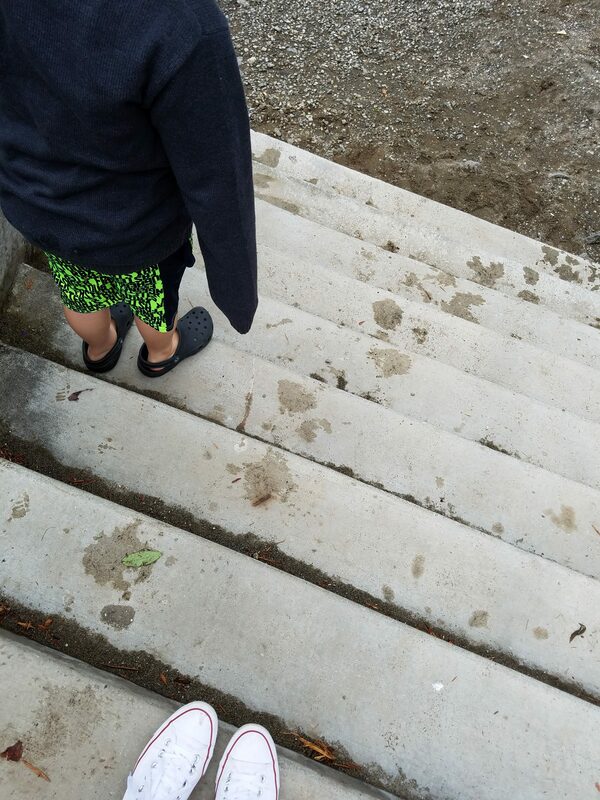 Salsbury Point County Park – let the kids run wild at the playground! 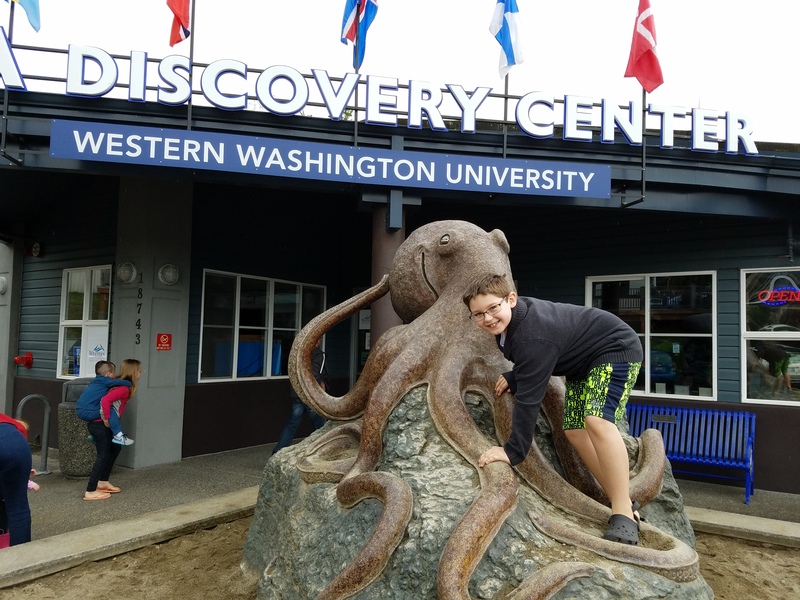 Poulsbo has a couple museums, including SEA Discovery Center, free to enter although they do accept donations. Fun little place especially for children, with a touch tank and more. Poulsbo is definitely a pet friendly town, so be sure to take those furry loved ones! Check out Poulsbo during Christmas time, it’s supposed to be a winter wonderland! Remember to check the forecast before you head to Poulsbo and throw in a light jacket just in case!! Day trip to Ocean Shores – must see/do ideas and tips for the best time! 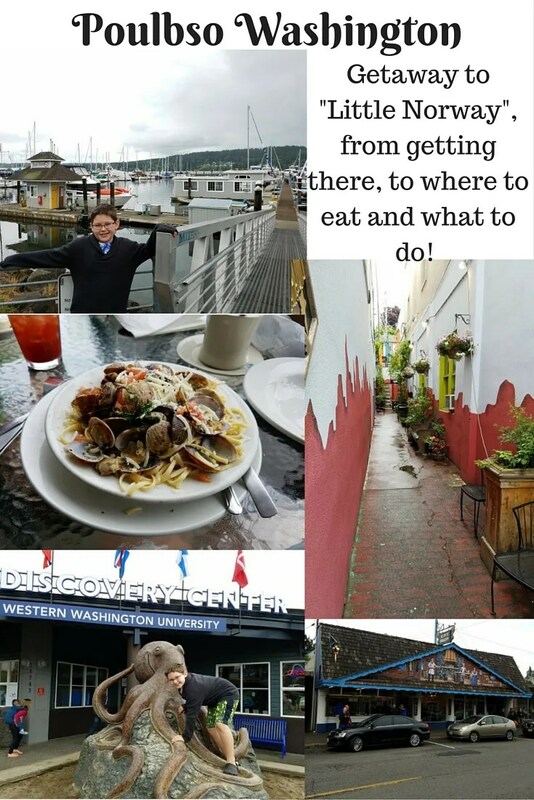 cool post about Poulsbo, I was the one who mentioned I did one recently as well, such a cute lil town and I’m glad its only 20 min away for me! Happy Blogging!